The Monday before Thanksgiving, I trekked across the river to Brookline to see David Levithan, Rainbow Rowell, Bill Konigsburg, and Paul Rudnick at the Booksmith. Each author read from one of their books: Rudnick read from Gorgeous, Konigsburg from Openly Straight, Rowell and Levithan from Fangirl (hers) and Two Boys Kissing (his). 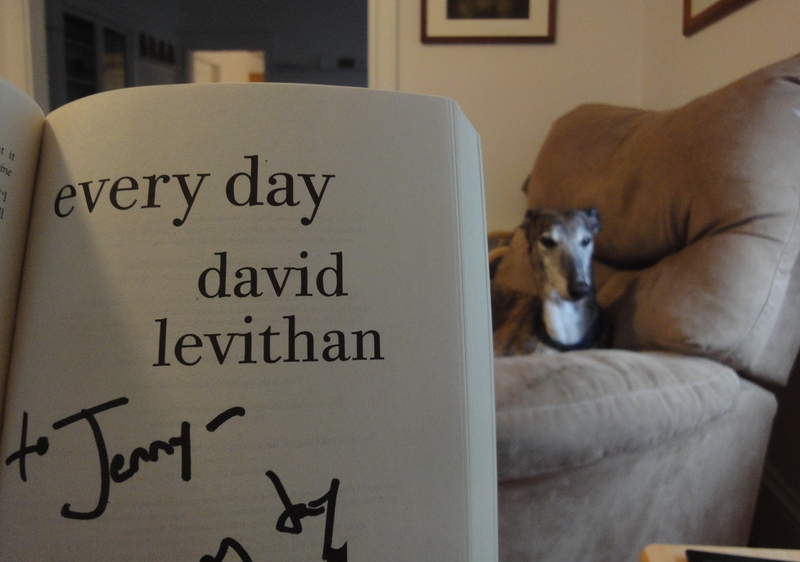 This might be the first time I’ve seen a pair of authors do a joint reading like this – Levithan made a very funny Levi – and they seemed like they were really having fun (though maybe YA authors just have more fun, in general). On a reaction to Rowell’s decision to write a novel about college-age characters: “‘College students don’t read.’ I know, be offended, write a letter! ‘Nobody wants to read about college students.’ But I don’t think of writing for one specific audience.” And, she added, readers often want to read about characters a little bit older than themselves (e.g. high school students would be interested in reading about college students). Rowell, on humor in writing: “Funny is subjective.” If a joke she wrote made her laugh, she fought to keep it in the manuscript, even if her agent or editor wasn’t sure about it. 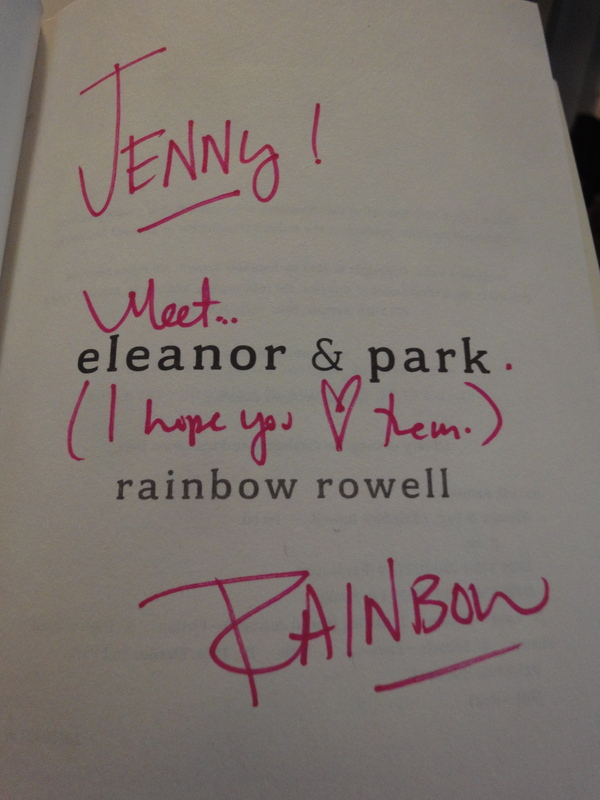 And here’s my new hardcover of Eleanor & Park. The first time I “read” it was the audiobook – and Rebecca Lowman is superb – but I’m looking forward to reading it again in print. Of course, I already do love them. Anyway…YA books! Read them! Especially these ones. I’m also jealous!! 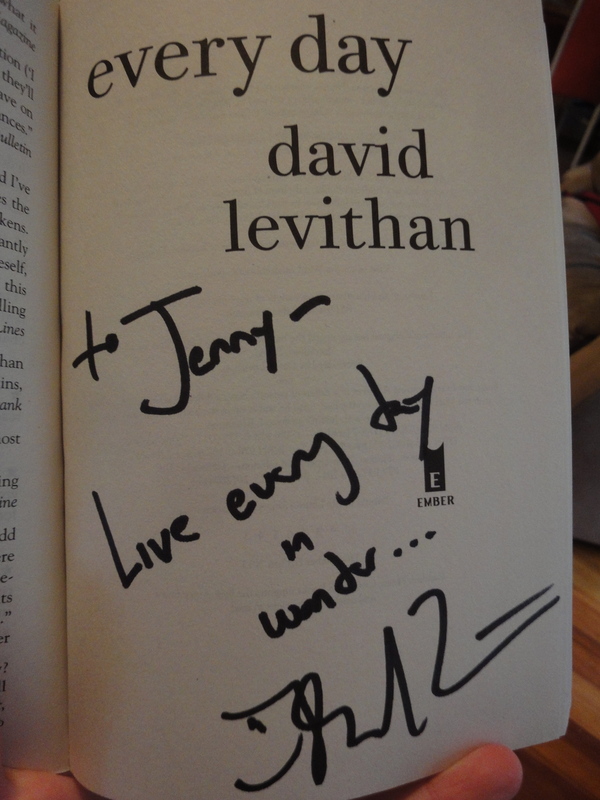 I would have really liked to pick Levithan’s brain on the book, Two Boys Kissing. Actually…I want to talk to a teenager that has read it. I loved it, but wondered if it was more because “my” generation is “talking” to the boys throughout the entire book. They are giving the readers a perspective they may not have, but may not want either. Just curious what other folks think on that. Sounded like a fantastic time, Jenny!